Barker Son and Isherwood are members of Resolution, a 6500 strong group of family lawyers, who are commited to minimising the financial and emotional pain it causes. We do this by adopting a conciliatory approach, which puts the needs of any children involved first. Resolution supports the work we do through its national and regional training programmes, publications and good practice guides. As members of Resolution we adhere to a code of practice. The code sets out the principles of a non-confrontational approach to family law matters. The principles of the code are widely recognised and have been adopted by the Law Society as recommended good practice for all family lawyers. Barker Son and Isherwood are proud to have continued to secure the Law Society's National Law Management Quality Mark, LEXCEL. Lexcel is the Law Society's international practice management standard. It is a scheme for any type of practice to certify that certain standards have been met following independent assessment. The Lexcel practice management standard is only awarded to solicitors who meet the highest management and customer care standards. Lexcel accredited practices undergo rigorous independent assessment every year to ensure they meet required standards of excellence in areas such as client care, case management and risk management. Barker Son & Isherwood are members of the Agricultural Law Association ("ALA"). The ALA is consulted by government on legislative and policy changes and it is now the UK’s premier independent cross-disciplinary organisation dealing on an agenda-free, non-partisan, non-political basis with all matters arising in connection with rural business. It has over 1,100 members and it includes some of the leading practitioners in rural affairs in the UK and Europe. As members of the ALA BS&I are able to exchange views and experiences of agricultural matters and we are able to keep up to date with changes in the law and pass our knowledge and experience onto our clients. For more information please visit:www.ala.org.uk or contact Geoff Whittaker at enquiries@ala.org.uk or telephone 01206 383521. Zoë McManus of our firm is a fully qualified member of STEP (Society of Trust and Estate Practitioners). The main focus of the organisation is to promote high professional standards within the profession, to provide educational and networking opportunities for its members and to contribute to debates and public policy in its specialist field. STEP are the global professional association for practitioners who specialise in family inheritance and succession planning. They work to improve public understanding of the issues families face in this area and promote education and high professional standards among its members. 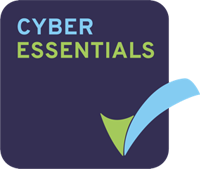 All STEP members are subject to a Code of Professional Conduct requiring them at all times to act with integrity and in a manner that inspires the confidence, respect and trust of their clients and of the wider community. Members are also required to keep up to date with the latest legal, technical and regulatory developments. Zoë McManus is also a fully accredited Member of SFE (Solicitors for the Elderly). SFE is an independent, national organisation of lawyers, such as solicitors, barristers, and chartered legal executives who provide specialist legal advice for older and vulnerable people, their families and carers. All SFE Full Accredited Members must have a minimum of 3 years’ experience and specialise in a wide range of legal issues affecting older and vulnerable people. Our members must have spent a substantial amount of their time working for older clients and have to fulfil our own criteria for membership. To become a Full Accredited Member of SFE, members must continue to keep their training in this area of the law up to date and are also required to complete both the SFE Older Client Care in Practice and Older Client Law in Practice awards. These are externally accredited awards, which demonstrate that members have the additional skills needed to work with older and vulnerable clients. This is a unique qualification and truly sets SFE members apart from all other lawyers and advisers. As well as this, all members are required to follow the SFE code of practice. 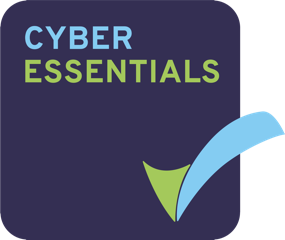 Barker Son and Isherwood are pleased to announce that our Cyber Essentials assessement has been successful.